The game-changing brand finds yet another clever new way to display time with the UR-111C. 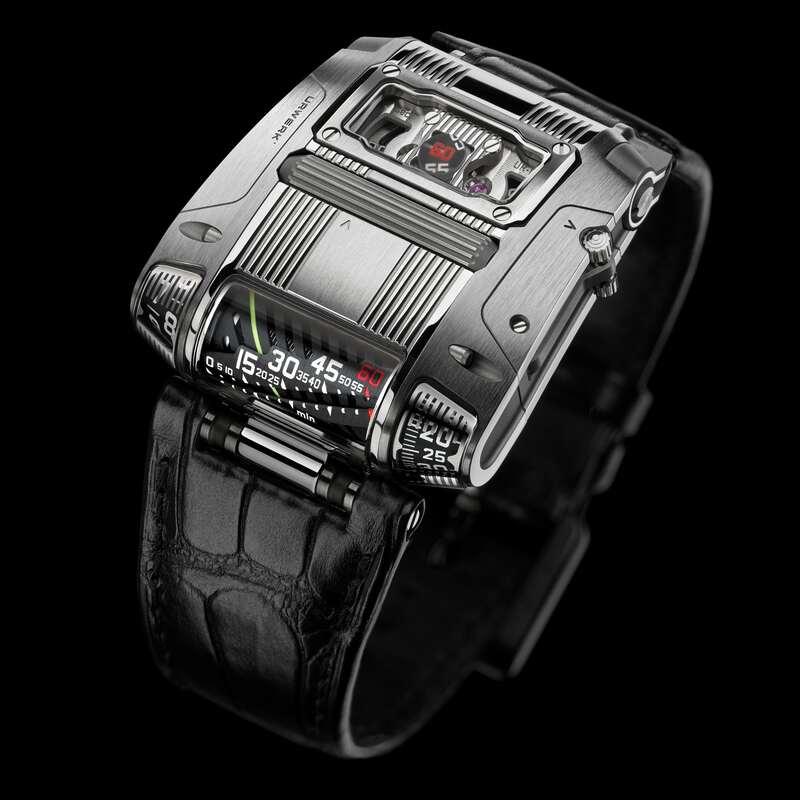 If we’ve ever met, you’re likely well aware that I’m a big fan of the unique and outlandish creations from URWerk. 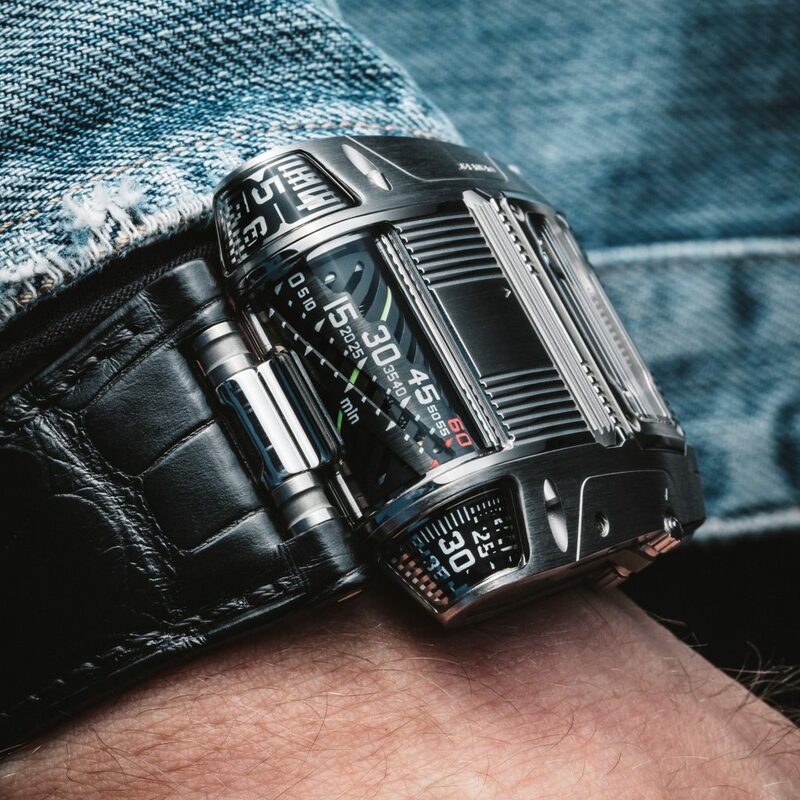 Not ones to concede defeat to the mainstream conventions of watch design in any form or fashion, the now 21-year old firm has dropped cover on its latest futuristic and thoughtful creation; the UR-111C. The new release features a unique cylindrical barrel with a neon yellow stripe that rotates along to indicate current minutes. To its right, a more precise digital minutes indication is present, and to its left a jumping hours display. In the upper window on the front of its industrially inspired case, running seconds are displayed on a unique satellite mechanism in 5-second intervals. The engineering of this watch from a time display standpoint was clearly no small feat (as you can see from this brilliant video), however the fun doesn’t stop there. You’ll notice a wide roller front and center on its case, as well as a strange looking level attached to its side. Though the caliber beating inside is self-winding, with the lever resting in its standard “closed” position this roller can be used to wind up the movement. Fold the lever out to the side, however, and the roller becomes your means of setting the time. This design detail is a prime example of how URWerk continues to abide by the “form follows function’ mantra with each of their releases. Does the watch look fantastical and futuristic? It absolutely does, but it’s also remarkably easy to use and easy to read, which can’t be said for a lot of high horology marvels. As you can see from the images, this is by no means a slender dress watch, but having tried on a number of their pieces over the years you’d be surprised at how comfortable they feel when on the wrist. Personally, I tend to lean towards the titanium and steel variants, as the added heft of gold can be a bit overpowering. 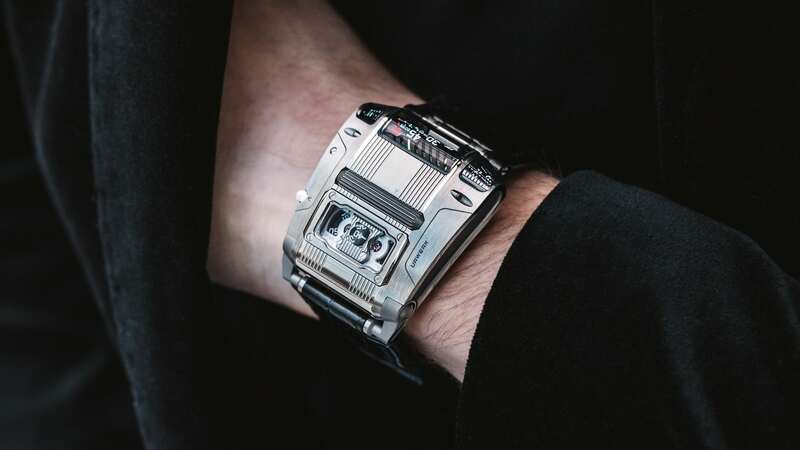 In the case of the new UR-111C it is being offered in either polished or gunmetal finished stainless steel (limited to 25 pieces in each finish), with a retail price of CHF130,000.